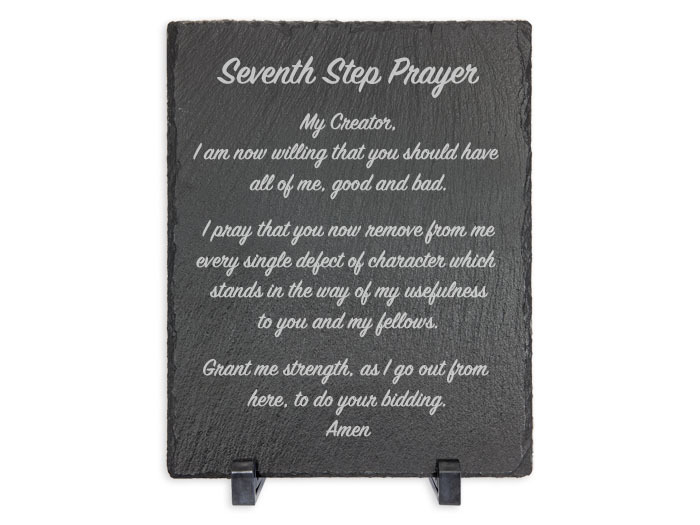 Our 7th Step Prayer (out of the Big Book) beautifully laser engraved into this natural slate plaque. Suitable for hanging in any room, office or meeting hall! 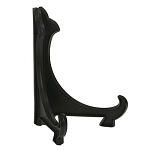 Or, consider displaying your plaque on a table, desk or shelf with one of our Display Easels. My Creator, I am now willing that you should have all of me, good and bad. I pray that you now remove from me every single defect of character which stands in the way of my usefulness to you and my fellows. Grant me the strength, as I go out from here, to do your bidding. Amen. Place this lovely plaque where it will be seen easily and regularly! Each plaque has 4 foam protective dots on the back and is delivered with a pair of plastic legs, You can also display your slate plaque on a table, desk or shelf with one of our Plaque Display Easels. Dimensions: Please choose from drop down box above.